Hey Cleveland: Over 100 tech solutions right here in CLE – join us for one or two days! 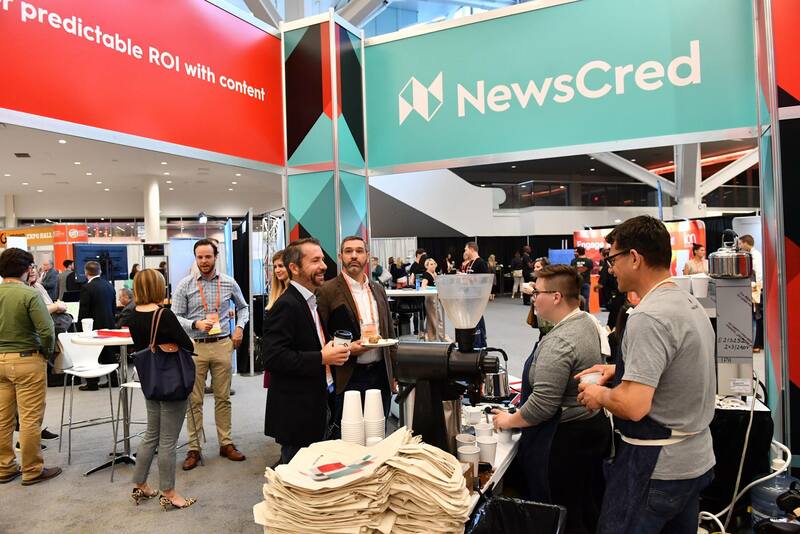 Our 2018 Content Marketing World Conference & Expo is rapidly approaching, and we’re getting pretty excited for it. In less than two weeks, more than 4,000 marketers, communications pros, journalists, marketing analysts and more – professionals just like you – will get the latest insights on content marketing strategies and interact with over 250 speakers from companies including Twitch, The New York Times, Pull-A-Part, Google, Electrolux, Adobe, LinkedIn, Marriott…and the list goes on! We are doing it BIG this year, and the excitement is through the roof! In our outreach to our alumni, a few of you reached out to us saying that you can’t make it to the entire event. We understand, it’s a busy time. So, if you want to come out but not attend the entire event, register for our CMWorld expo passes. We are offering passes that allow access to the Expo Hall / Exhibitor Booth floor ONLY. We are offering One Day ($300) and Two Day ($550) options, for either September 5th or 6th, or both. This isn’t open to just Clevelanders, so come one, come all! The marketers who come out to CMWorld want to improve their marketing game and make high-level connections… but they also want to plan their marketing strategy for 2019. If you’re planning for the upcoming year and looking to add new tools to your marketing arsenal without having to commit to the whole event, the expo pass will be perfect for you. Our sponsors and exhibitors are ready and waiting for you! Don’t miss this once-a-year opportunity to connect with industry peers from all over the world. *Yes! Our main conference and all-access passes are still available. Visit our registration page for all those details, plus use code CMWBLOG to save $100 off these larger packages. Don’t forget – 4+ team members that register together receive an additional 10% off current rates!